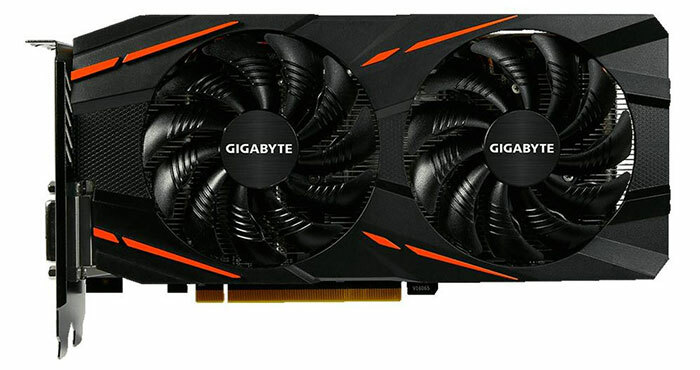 The graphics cards market is quite dynamic and is thankfully unhindered by many compatibility hurdles, such as those faced by people wanting to upgrade a CPU. 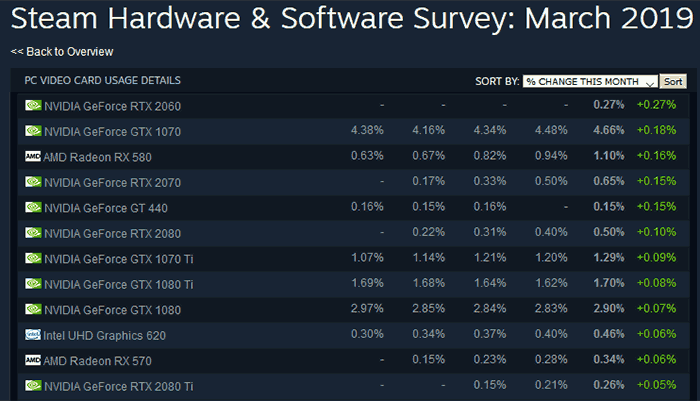 Thus, within a few months of release we can start to see impacts and trends established in the Steam hardware and software survey, for example. If you head on over to the PC Video card usage details section you can sort it by per cent share and per cent change in the last month recorded (March 2019), and therein lies the data behind our headline. Above you can see that the Nvidia GeForce RTX 2060 has stormed out of the gates to become the fastest seller / gainer (among Steam users) in the last month. 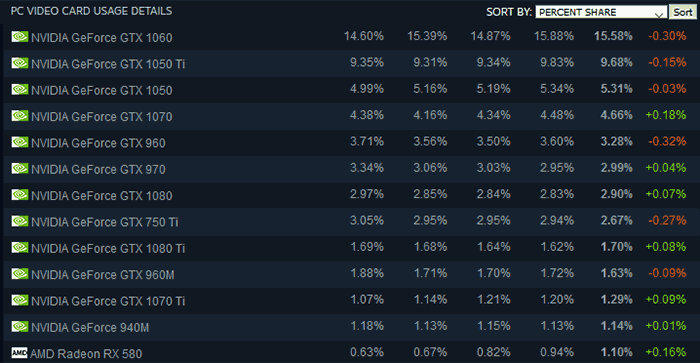 In the top 12 gainers you can see all the new Nvidia GeForce RTX cards are currently present with their popularity in reverse price order. A little bit behind the Nvidia RTX 2060 you will find the GTX 1070 and AMD RX 580 in position two and three, respectively. 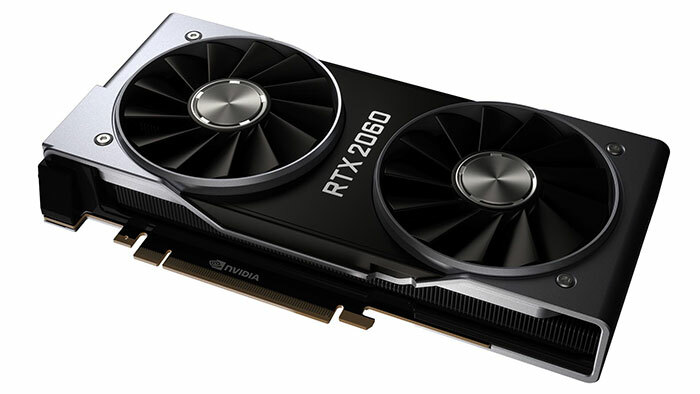 This highlights a major problem for Nvidia at this time: still desirable previous gen cards are being sold off into the most popular segment of the market. We have reported upon the crypto-hangover, bitcoin bubble burst, and similar observations about the GPU market, several times in the last few months. Moving down the table we see the GeForce RTX 2070 and 2080 doing fairly well. However the pricy RTX 2080 Ti is being held down by not just its price but people adopting last gen champs like the GTX 1070 Ti, GTX 1080 Ti, GTX 1080, as well as the currently bargainalicious AMD RX 570. Here Nvidia must be hoping it can start to make inroads with its RTX 20 and GTX 16 series before any possible fight back from AMD with the release of Navi. Let us hope that those in the market to upgrade their GPU in the coming months will have interesting choices ahead with a wide range of both GPUs and brands. It's a bit funny tbh, since the one thing that the RTX2060 can't do properly is ray-tracing. Sure, it has the pre-requisite hardware, but it's not nearly potent enough. Amazed how people actually are throwing away their money on immature tech. Well early “morons” adopters are paying for the development costs and that's a win for me so i am not complaining. 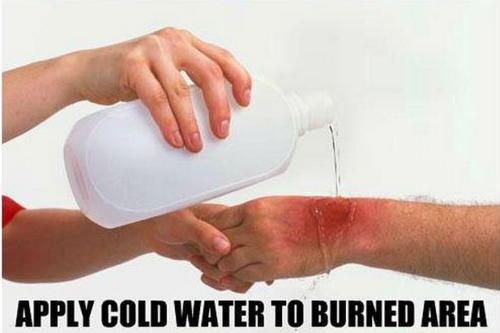 Just a shame you're not intelligent enough to earn enough money to afford one. If 7nm was such a magic bullet then Vega 7 would be a better product. Expect improvements by all means, but don't hold your breath for a revolution. In the meantime, early adopters are enjoying playing games on their shiny card.